I’ve been hearing “My heart hurts” from several friends these past few days. And when I hear their stories, my heart hurts, also. I believe in healing through writing. So, let’s write. Write about: Does your heart hurt? Write all the details you can about this. What happened? Write all the details that you know. If you were directly involved: Be as detailed and as explicit as you can. When did it happen? Day of week? Time of day? Where did it happen? Who was involved? What were you wearing? Were you standing or sitting? If you weren’t directly involved: Write as many details as you know. Then, focus on why you are affected. What connects you to what happened? Why are you affected so strongly? 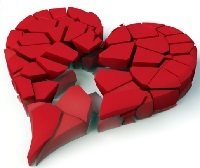 Read the next part after you have written about why your heart hurts and how and why you are affected. Okay, I know, if you are like me, you will read the whole thing now and write later. That’s fine. Go ahead and read the next part. Louise De Salvo, Writing As A Way of Healing, says by writing our stories fully, we can begin to understand what was formerly unclear. By writing, we can understand what we didn’t previously understand. What we’re writing is called a narrative. In order to come away with this as a learning experience and with a good feeling, we need to make this writing a healing narrative. A healing narrative is a balanced narrative. This type of narrative uses negative words to describe emotions and feelings …. Probably what we just did in our writing about a hurting heart. A healing narrative also uses positive words. Take a minute now to rethink your experience that you just wrote about and see if you can find something positive and hopeful about your encounter. Even if your event was traumatic and extremely unpleasant, is there anything positive you can add to your narrative? Write: Take a few minutes to write about something good — anything — that came from that experience. For example, after writing about my difficult situation, I realized I was right to pay attention to my intuition. How are you feeling now? Take a few minutes to jot down what you are feeling now. Go ahead. Write down your feelings. Even if you didn’t write on the prompt. . . take a few minutes to jot down your feelings. Later, when you write on the prompt, compare your feelings then with now. You can use writing to shift your perspective. Sometimes you can’t change the situation that’s causing you pain. You can change how you look at it. The key is to write about events and the emotions surrounding those events. James Pennebaker describes this in his book, Opening Up. Healing starts when you write about what happened and how you felt about it then, and how you feel about it now. And in order for our writing to be a healing experience, we need to honor our pain, loss and grief. As we write, we can become observers. It is not what you write, or what you produce that is important. It is what happens to you while you are writing that is important. So, that’s why we write . . . to understand ourselves, our emotions and our world. Please, if you are feeling completely overwhelmed, seek professional help. For more details on how to write about difficult topics: please click on How to write without adding trauma.